With trending airport looks in today’s day and age, it’s that time of the year when travelling & holidays are at the peak. 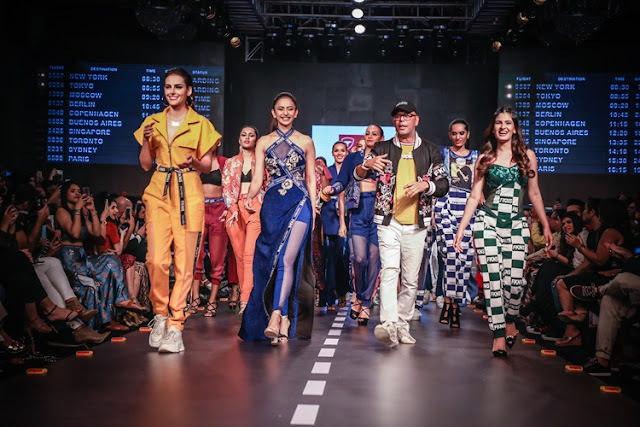 With Spring- Summer making debut there is always an extravaganza and style that comes alive on stage with celebrities sashaying down the aisle in exquisite designer wear. 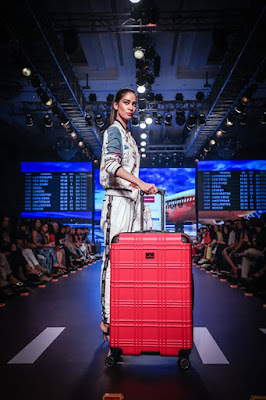 Traworld, a leading luggage bags brand collaborated with the fashion designer Narendra Kumar aka (NARI) to showcase his elite, fun & uber stylish Athleisure collection. NARI’s collection was displayed on the 23rd March, 2019 at St.Regis Hotel, Mumbai.The collection highlighted the collaboration between the designer and Traworld from the House of High Spirit Commercial Ventures, exploring the world of airport fashion look which is currently trending amongst fashion connoisseurs. The event witnessed a luxurious Athleisure Couture collection for men and women by acclaimed designer NARI. The trend setting collection is easy, exclusive and at the same time flamboyant. It was themed around 80’s-90’s Disco Meet, sporting a glamorous at-ease look which makes a statement while travelling, as witnessed through the numerous airport looks of celebrities. The collection was made up of such pieces as embroidered bomber jackets, sporty track pants, culottes and much more in eye-catching colours such as ochre yellow, rusts, peppy blues and greens in disco era prints and graffiti. On the same lines, this collection also aims to highlight how the travel luggage bags have an important role to play as a lifestyle accessory and are perceived as setting a trend.